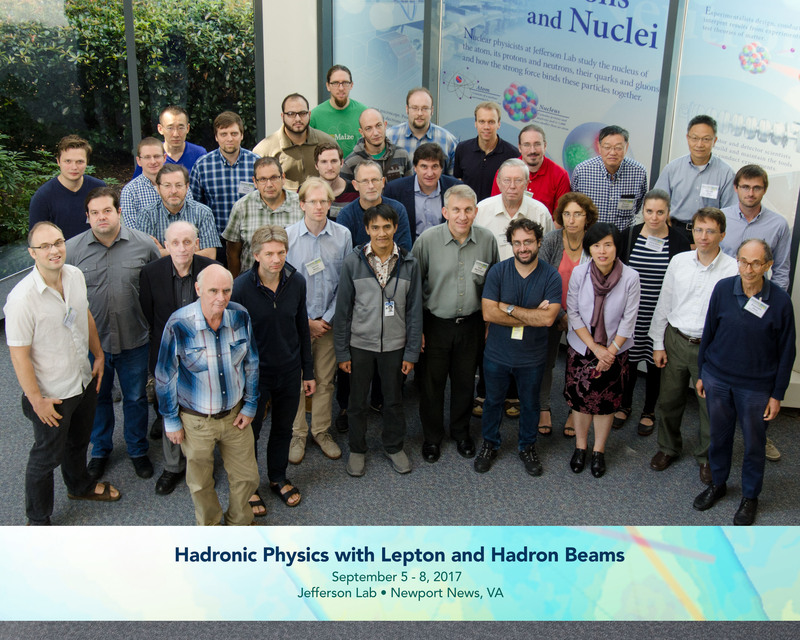 With the commencement of operations at the 12 GeV Upgraded Continuous Electron Beam Accelerator Facility at Jefferson Lab, and construction under way of the new Facility for Antiproton and Ion Research (FAIR) in Germany, a new era is opening up of high-precision experimental studies of hadron structure and spectroscopy. 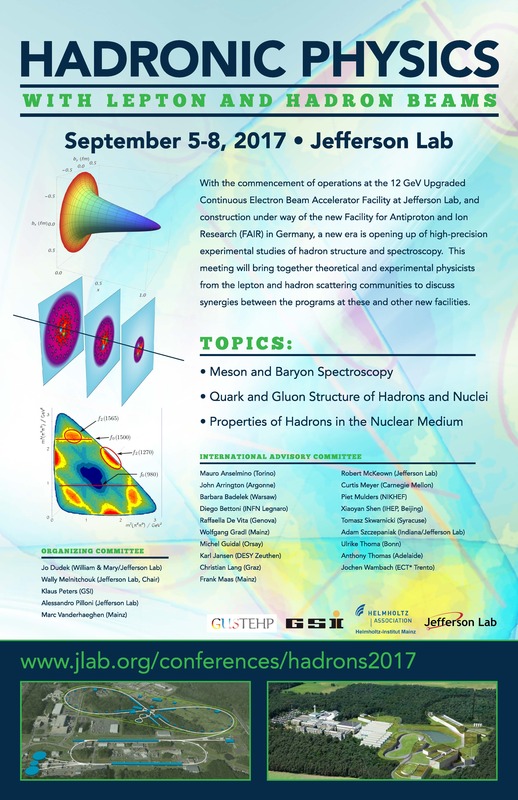 This meeting will bring together theoretical and experimental physicists from the lepton and hadron scattering communities to discuss synergies between the programs at these new facilities. * the properties of hadrons in the nuclear medium. The workshop will consist of 4 days of morning and afternoon plenary talks, focusing on the opportunities and challenges for hadronic structure and spectroscopy studies at these and other modern accelerator facilities. There will be no registration fee, but anyone interested in attending needs to register on the workshop registration page. Registration and Lodging deadline is August 4, 2017. Click here for lodging information. For students and young postdocs, there is the possibility to submit an abstract for a short talk. Please submit an abstract to the indico page before July 23th.